Now that summer is here, we’ve been hard at work in the Jeff’s Naturals kitchen creating new dishes perfect for outdoor entertaining, potlucks and best of all, PICNICS! Whatever your next excursion is, whether it’s a day at the beach or the pool, an evening at an outdoor concert, or a just a relaxing afternoon at the park, these three new picnic-ready recipes will all but guarantee that you will pack the perfect picnic basket and savor the outdoors! 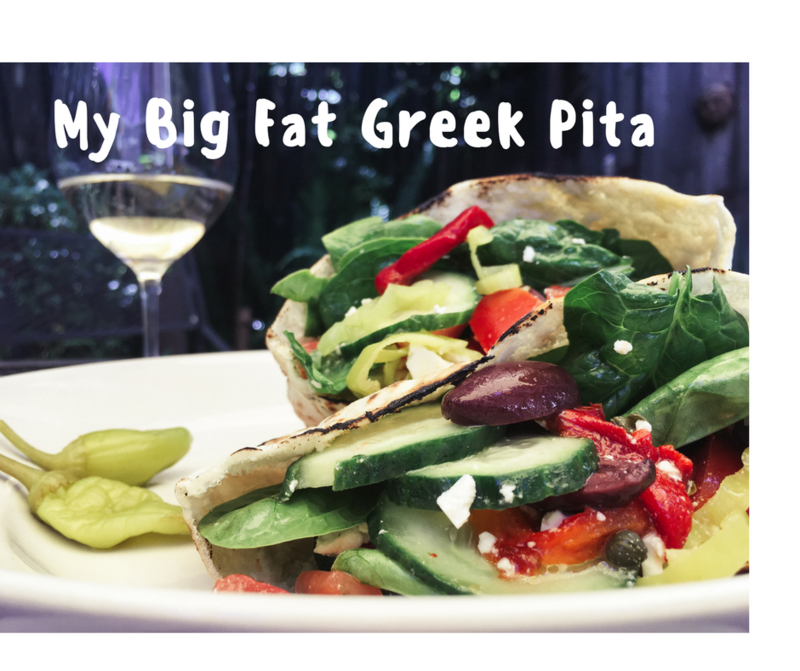 Stuff all of the goodness of delicious Greek Salad with a simple dressing combined with Feta, Greek Peperoncini, Kalamata Olives, Roasted Red Pepper Strips and Capers into a fresh pita and you’ve got the perfect meal on-the-go! In a mixing bowl combine the tomatoes, spinach, cucumber, feta, olives, peperoncini’s, roasted bell pepper strips and capers. Prep Time: 15 mins. Total Time: 20 mins. 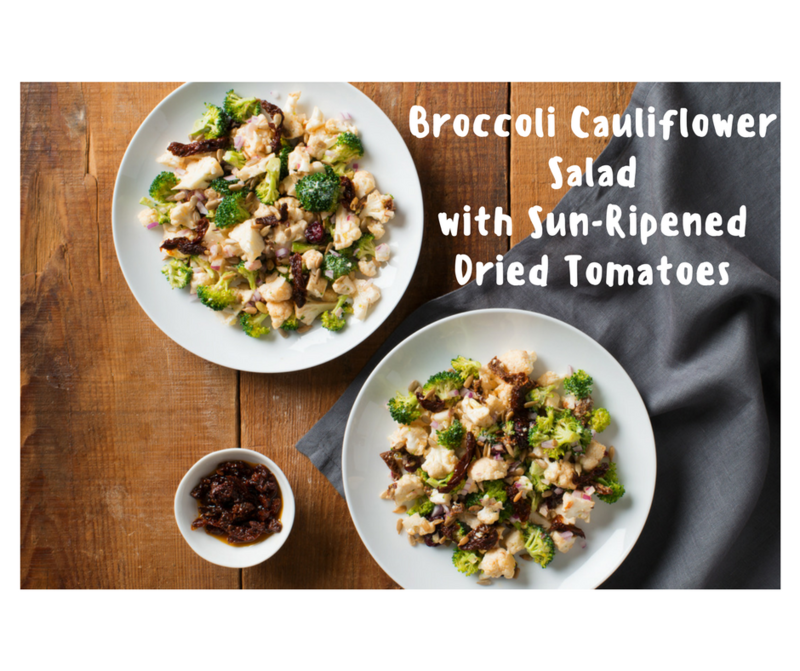 In a large mixing bowl, add the broccoli, cauliflower, cranberries, sunflower seeds and sundried tomatoes. In a small mixing bowl, stir the yogurt and vinegar together well. Add the yogurt mixture and olive oil to the broccoli salad ingredients. Stir to combine all ingredients. Season with salt and pepper to taste and serve. In a food processor, combine all ingredients and puree until smooth. If mixture is too think, use some of the reserved garbanzo liquid to thin it out. 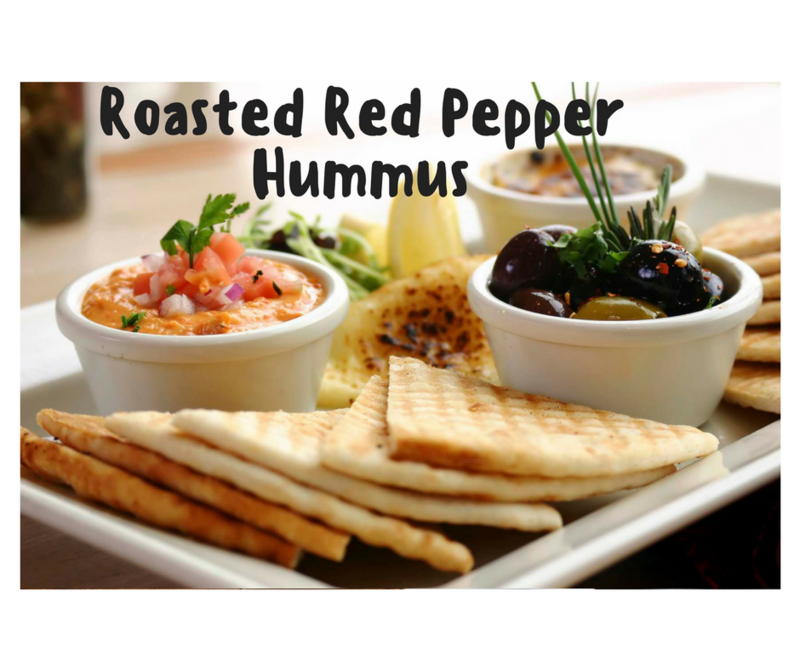 Serve with some pita wedges and a side of olives drizzled with extra virgin olive oil and garnished with a pinch of chili flake for a dressed up appetizer at your next picnic or bbq. You can also perfect your picnic game by bringing along these classic creations found on our Recipe Page.